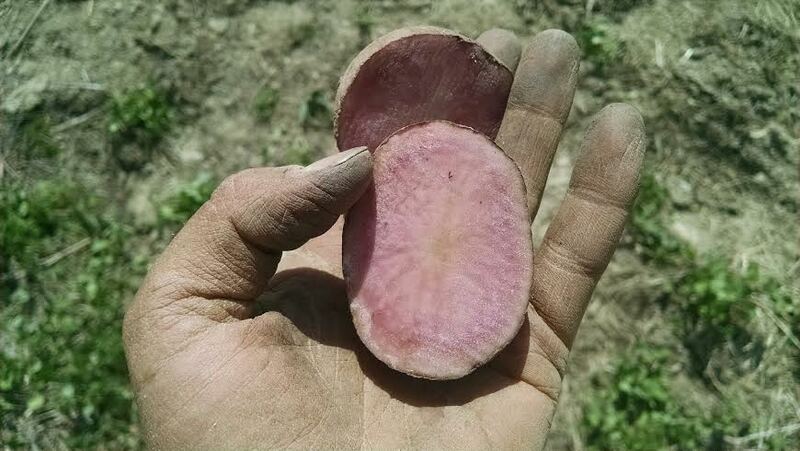 Your May 1 Update: School Projects and Planting Progress! I’ve been busy watching the magnolia in the front yard bloom and the peas in the field shoot up and the puppies chomp on each other all day and not writing for this blog. 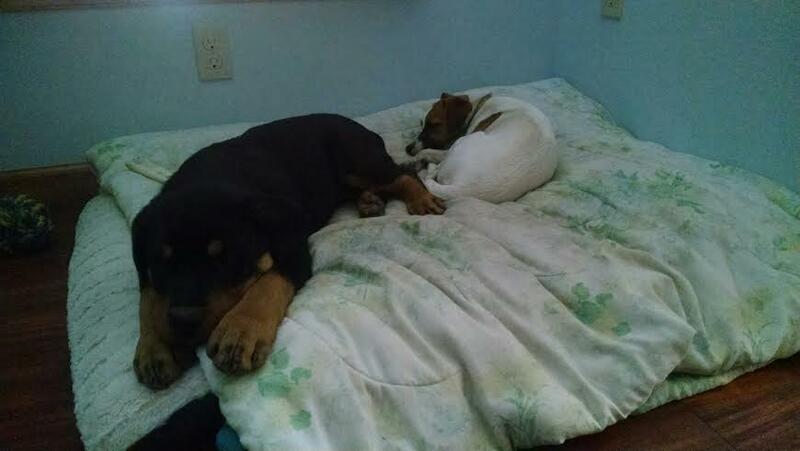 Here they paused from the chomping to nap. But I’m sure you can understand why, yes? Pennsylvania in the spring is truly one of the most remarkable and beautiful places to be. 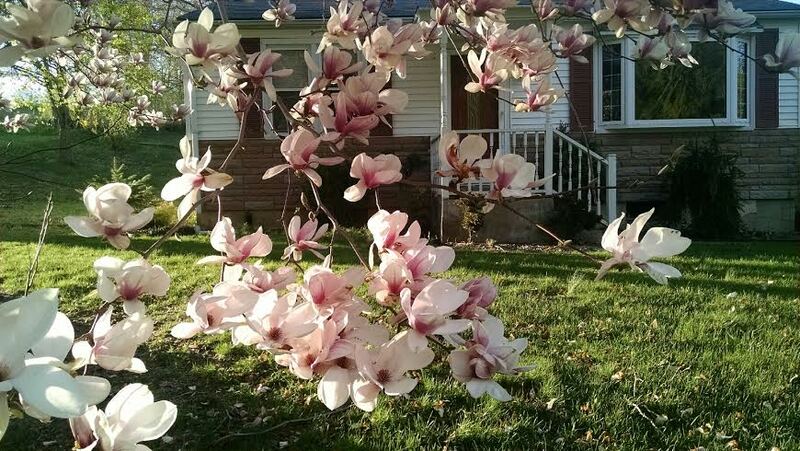 If you’re in the country, you see rolling hills turn green and the tree buds burst and flower wherever you are. 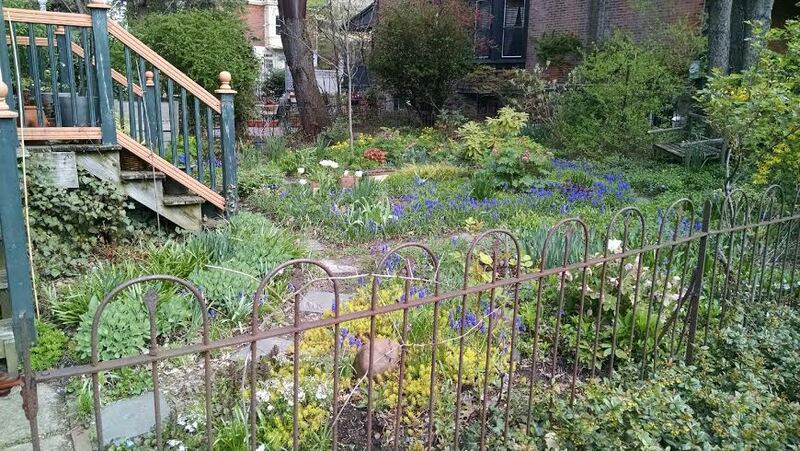 If you’re in Philly, you’re surrounded by tulips and secret spring bulbs and so many cherry blossoms. That West Philly love is strong right now. I highly recommend taking the time for both scenes. Little house is just the prettiest spring cottage. We could use some rain, but otherwise the world of Crooked Row is bustling and strong as ever. I finally changed the fictitious name to Crooked Row Farm, by the way, so stay tuned for that Facebook switch (which has truly been the most complicated switch of this whole process). 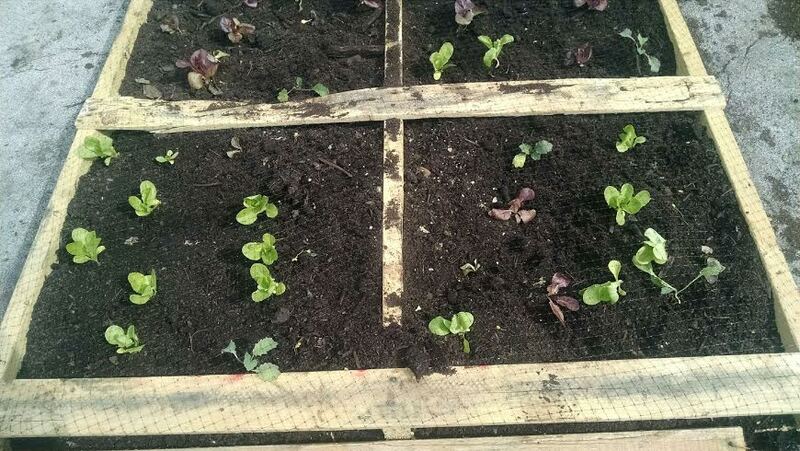 The flea beetles woke up and immediately started nibbling the Chinese cabbages, so my cute little field is sheeted with row cover again. 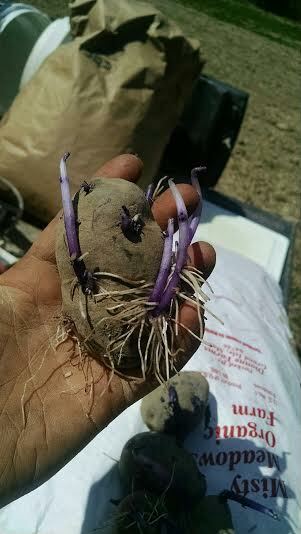 But the potatoes and all the onions are in! Which feels stellar. 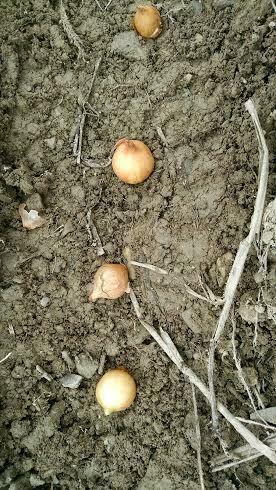 Sets are the easily part – soon we’ll post pics of the thousands of onions we started from seeds. Woof. The greenhouse is already on maximum capacity, leading me to believe that I’ll be putting up that second 45-feet of hoops and plastic before this season is out. More room for the perennial medicinal herbs that need to live somewhat inside over winter! Huzzah! 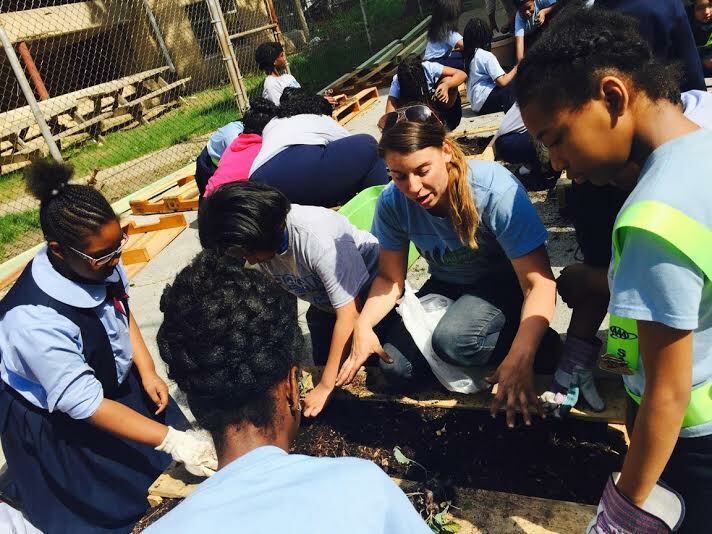 And yesterday I took a day off from the field for this summer’s big Philly project – an urban garden with the fifth grade classes at Southwest Leadership Academy Charter School. This morning’s adventure begins. And yeah, see that truck cap? That means adventure! When are we going camping? The fifth grade boys were more than happy to move dirt around and play with worms. Mechele, an old compatriot from the East Pleasant and Chew market last summer, is the school’s art teacher, and we started scheming for an outdoor garden space a couple months back. 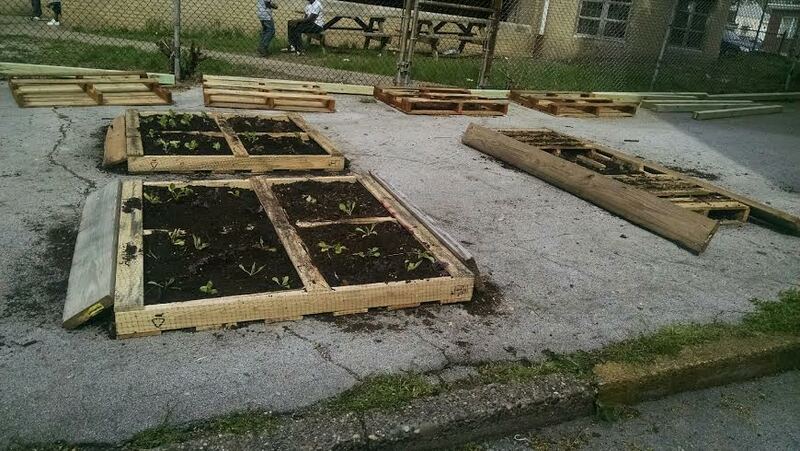 With some donated pallets from an area company and some Crooked Row and Willow Haven starts and some compost from the Fairmount Park recycling center, we took off today. 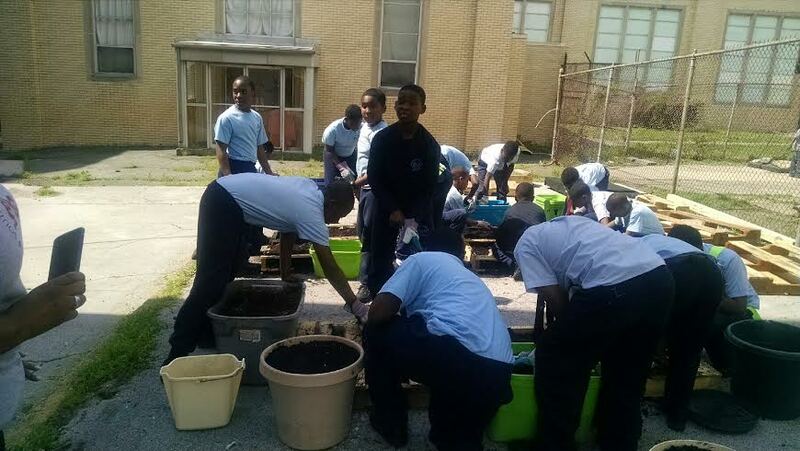 The fifth grade boys set up the first of that pallet gardens – taking time to get super excited about worms and to tell me their favorite vegetables, of course – and the fifth grade girls planted kales, chards, lettuces and spinach and potted up tomatoes for the later garden beds. The before and after pictures of this project are going to be awesome. It was really incredible to watch these kids in action. 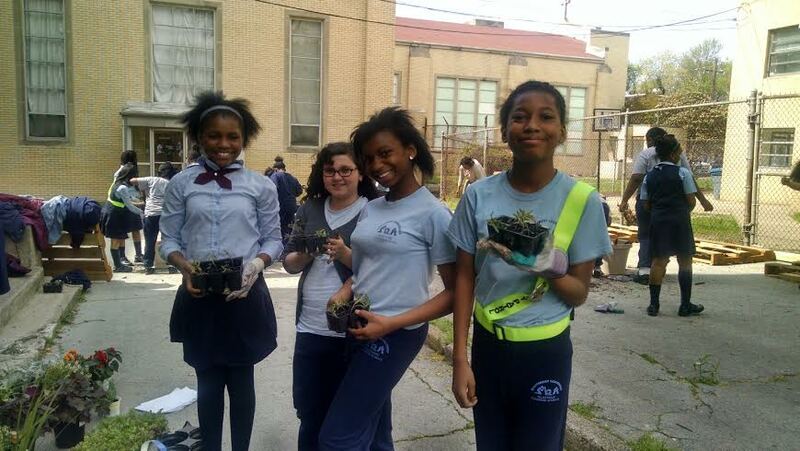 I don’t spend much time with youngsters, and these kids were eager to help out, excited to be outside and eager to learn what else we would be growing and doing in the space. It was a more positive response than I could have hoped for, and Mechele and I were beaming when the last of the girls headed out. We have some more beds to put in, some fencing to coordinate and a whole lot of green vertical pallet walls to plant and mount – oh, and more dirt to get, like, always – but we are onto something really cool out in the Southwest. More pictures to come as this project grows! Until then, grab your Local Food Guide and get ready for some good eats! 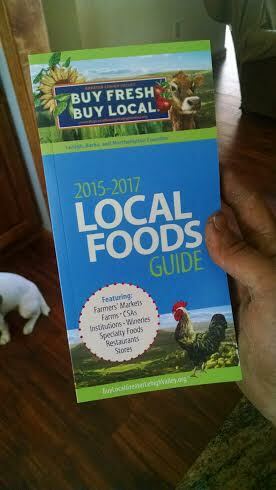 PS – The Buy Fresh Buy Local Greater Lehigh Valley Food Guides are out! Grab yours today. 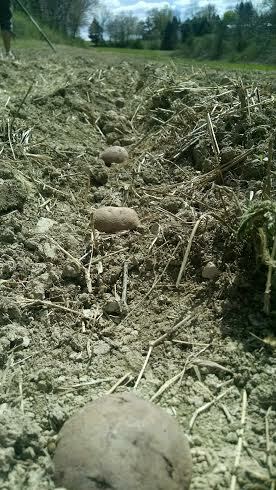 This entry was posted in Uncategorized and tagged Crooked Row Farm, Farming, Puppies, School Project, Southwest Leadership Academy Charter School, Urban Garden, Willow Haven Farm by wagnere1. Bookmark the permalink.